Mild steel, marine ply, mirrored acrylic, concrete and fixings. 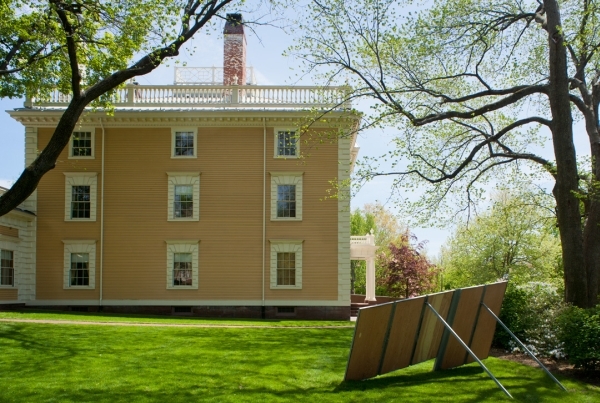 John Nicholas Brown commissioned Richard Neutra to design a Summer home called Windshield for his family. It was finished a few months before the hurricane of '38 tore its roof off. 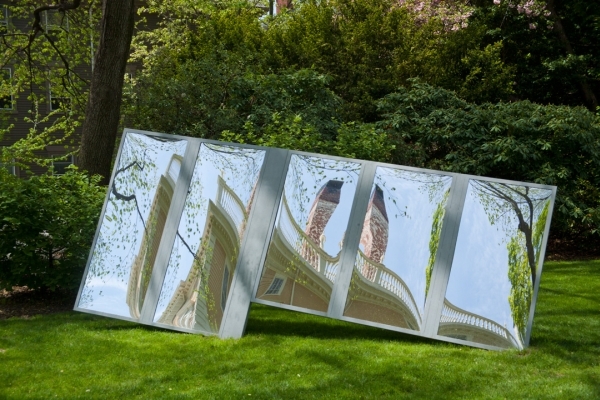 This sculpture, which draws on the form of Windshield's ribbon windows, is sited in the grounds of the John Nicholas Brown Center for Public Humanities and Cultural Heritage, the former residence of the Brown family.